After Few Minutes you will receive message containing Oxygen app download link. Now, download Oxigen Wallet App From Link. Register in the App & load min. Rs. 10 to your account. Rs 20 Will be credited as cashback within 48 hours. Note - SMS charges will be charged for the SMS. The offer is valid from 5th June, 2016 – 25th June, 2016. Offer is valid only once per unique mobile number. It is a limited offer and is on first come first serve basis. 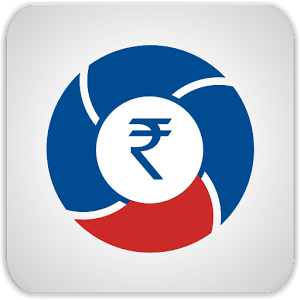 Cashback will be credited in Oxigen Wallet only. For any claims related to delay in cashback, customer may write to care@oxigenwallet.com within 7 days from the date of delay. Cashback can be used for recharges or empanelled merchant transactions through Oxigen Wallet. It cannot be used for bank transfers or person to person (wallet to wallet) transfers. Oxigen Wallet registration process involves user to enter basic details such as Name, Date of Birth, Mobile Number and Email Address. Oxigen holds the rights to withdraw this offer at any point in time without prior notice or incurring any liability. In no event the aggregate liability of Oxigen for any claims arising under this offer shall exceed the value of cashback the customer is eligible to receive. This offer can be terminated, amended, withdrawn at any time by Oxigen without any notice or liability. In addition, Oxigen Wallet terms and conditions shall apply. This offer is subject to force majeure events.